The pumping facility at Welches Dam was constructed in 1948, as a land drainage and flood alleviation pumping station and the station pumps the land drainage and flood flows from the Cranbrook and Counter Drain into the Hundred Foot Washes (tidal Ouse Washes). 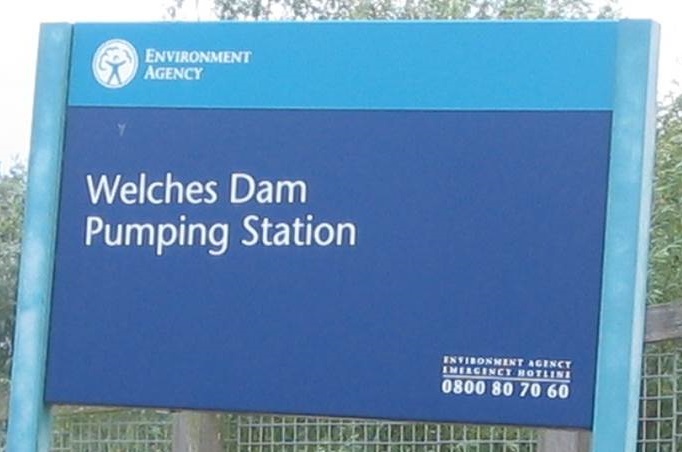 The strategy for the Cranbrook Drain includes a requirement for the refurbishment of Welches Dam pumping station, to provide a further 25 years life. 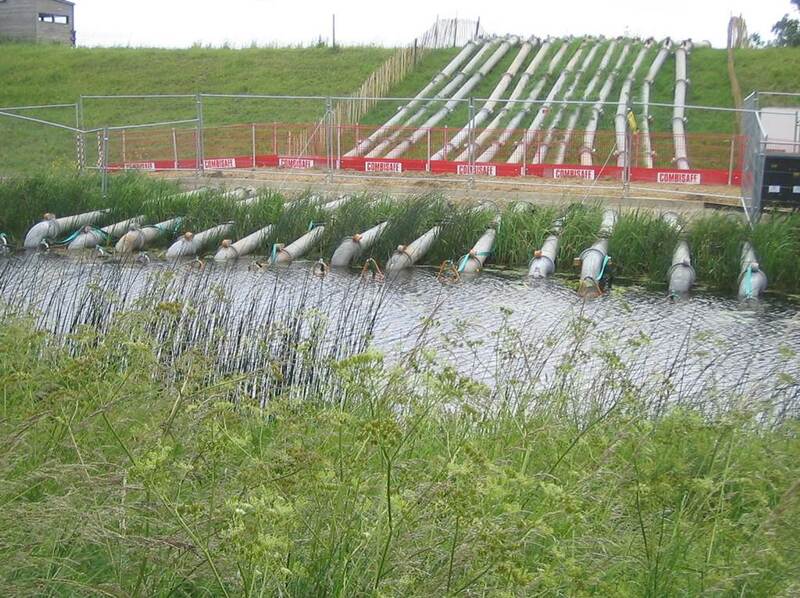 Modelling as part of the strategy identified a maximum design capacity of 10m3 for the pumping station. 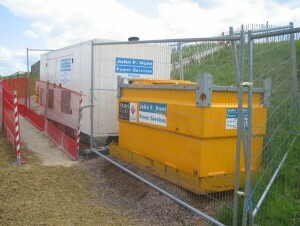 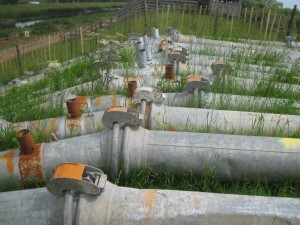 The job was quoted twice to two separate contractors at the start of 2009 and included a site visit and a full survey. 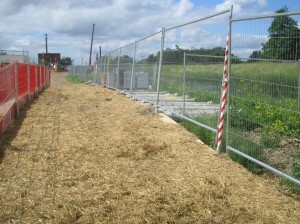 Jackson Civil Engineering were eventually awarded the job. 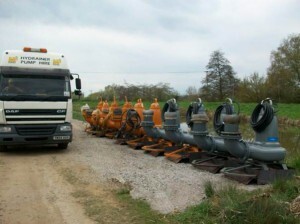 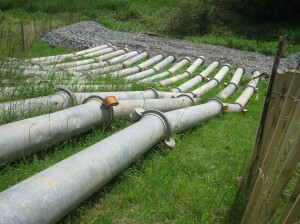 All major pump companies were invited to tender, and finally Hydrainer were short listed along with one other supplier. 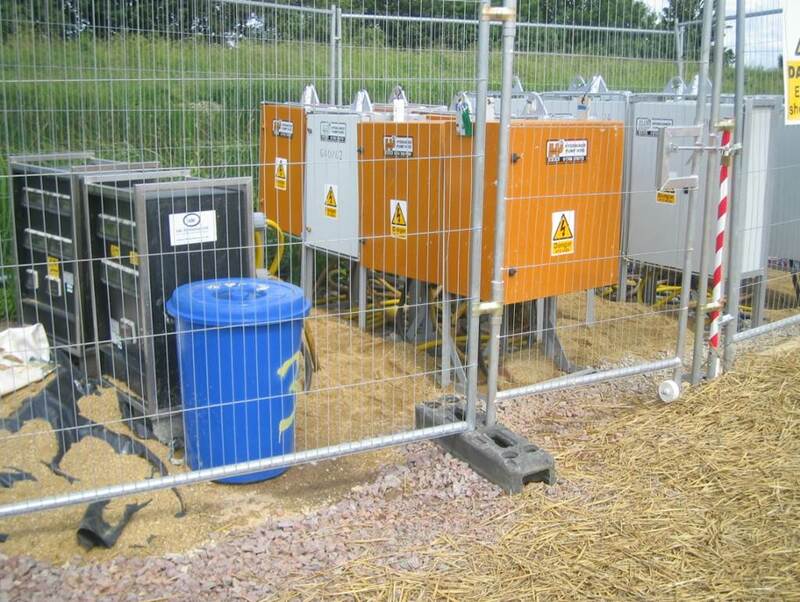 After several further site meetings and revisions to the original specifications, Hydrainer were awarded the pumping scheme including the full installation. 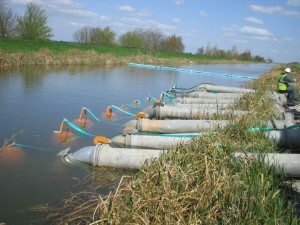 5,000 litres per second at a total head of 8.8 metres. 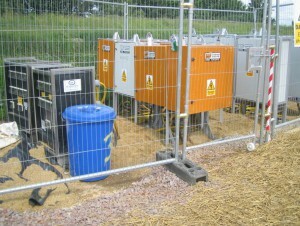 13 pumps required, 8 on mains power and the remaining 5 on a generator. No level control was required, only an alarm for high and low level, all pumps were manually operated. 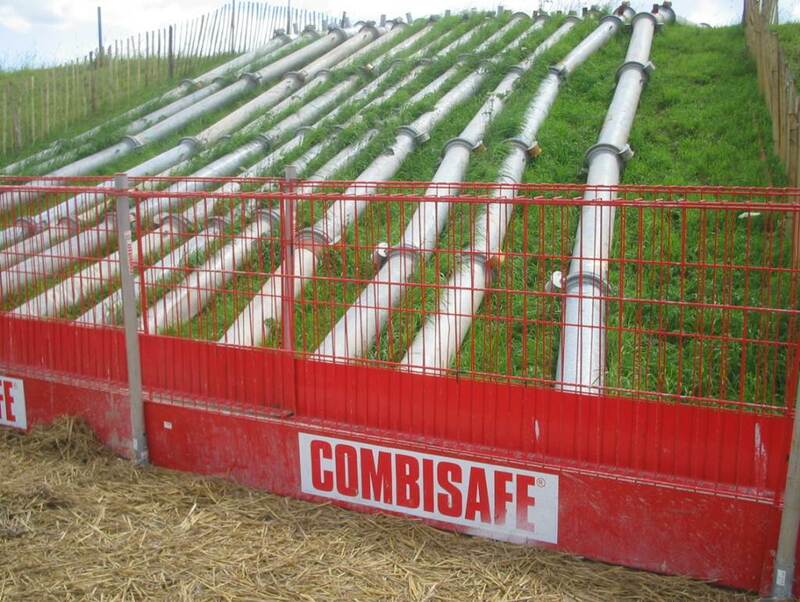 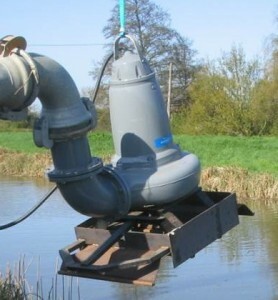 Instead of using floatation collars, special base stands were manufactured to give extra stability to the pumps whilst in the drain, based on similar success at Hornsey. 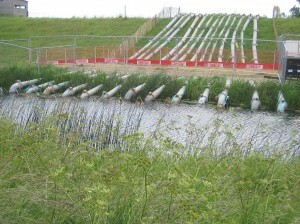 Additional bottom and side plates were added to protect the fish and other pond life. 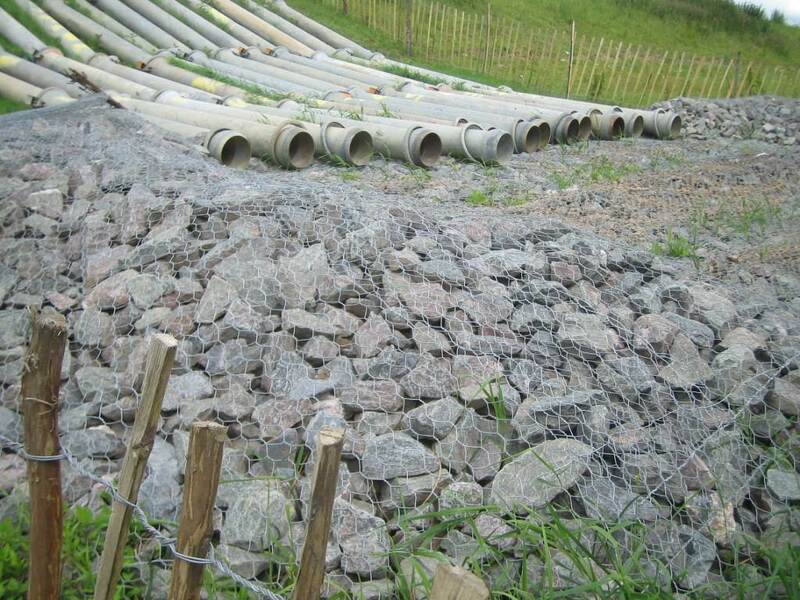 Additional civil work for a road crossing of plastic membrane and a lean mix concrete along the haul road. Stone at the discharge point to minimise scouring.